Israel, Palestine, and Jordan are all grappling with water scarcity in different ways and to different degrees. The Middle East and North Africa (MENA) region is considered a climate hotspot due to its natural water scarcity, low levels of socio-ecological resilience, social tensions and political conflicts, and ongoing immigration crisis. Over the course of the century, Jordan, Palestine, and Israel are projected to experience an average temperature rise over the Mediterranean of ~1.4C to ~4C; a general decrease in precipitation of 25 percent regionally and up to 40 percent locally; a shift in rain seasons from winter and spring to autumn; a higher frequency and intensity of extreme weather events; as well as a growing rate of desertification. Despite the effects of climate change being already observable in the region, the three countries have yet to fully recognize the connection between the negative impact of climate change on their neighbors’ national security, and the implications for their own national security. Based on this lack of understanding, Jordan, Israel, and Palestine have done little to develop a regional, integrated roadmap for climate related national security. This report concludes that too little attention is being paid to the implications of climate related change for national and regional security. The term threat or risk multiplier is often used to describe the catalytic effect of climate-related change on states and societies. In this sense, it is not the climatic changes themselves that are said to cause insecurity. Rather, it is the adaptive capacity of a state that ultimately determines the extent to which climate related change impacts the socio-economic development and political stability of a country and, therefore, of a region. The adaptive capacity of a state is weakened if the country exhibits unstable political institutions with low accountability, political repression and/or corruption, social tensions, a history of intra- or inter-state conflicts, as well as unsustainable livelihoods and damaged infrastructure, among others. 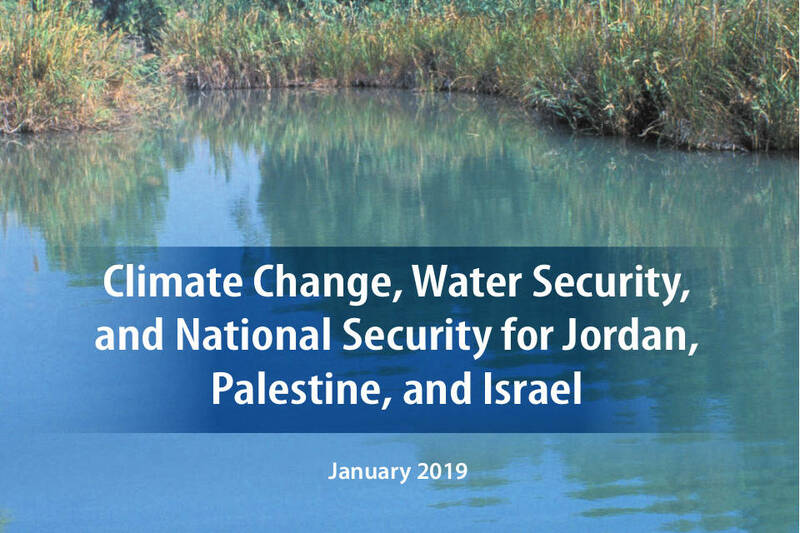 In the regional context of Jordan, Israel, and Palestine, climate-related changes are forecasted to impact a wide range of sectors where the adaptive capacity of the state might already be weak, particularly in Jordan and Palestine.